Lettuce is a vegetable that has taken the back seat over the past few years. All the attention has been on kale and its amazing nutritional contents. While kale does have great nutritional value lettuce should not be forgotten, especially the darker green lettuces. 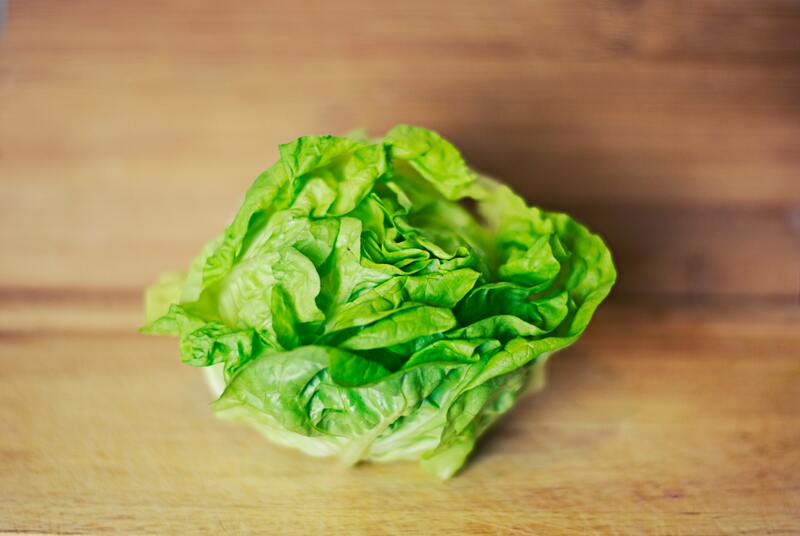 Lettuce can lower cholesterol, help control cancer, protect neurons in our brain, induce sleep, help control anxiety, lower inflammation and contains a whopping amount of antioxidants. Lettuce contains a large amount of water and fiber which is a powerhouse team. It also contains protein, fat, carbohydrates and sugars. Minerals and vitamins are plentiful in lettuce; calcium, iron, magnesium, phosphorous, potassium, sodium, zinc, thiamin, riboflavin, niacin, folate, vitamin B-6, C, A, E and vitamin K.
What does all this mean? It means lettuce is great as an anti-inflammatory vegetable due to its containing lipoxygenase and carrageenan. This leafy plant has antimicrobial properties and antioxidant properties. The antioxidants within lettuce are barriers against free radicals preserving healthy tissues and cells. Antioxidants counteract free radicals and neutralize these free radicals before they can attack. Which is great news, since there is no way to hide from free radicals there is a way to stop them before they can do damage. Lettuce also has some very special attributes. Uniquely lettuce has the ability to induce sleep and reduce anxiety. This is great news for people who suffer from anxiety and are looking for additional nutritional supplements that can help manage their anxiety. In Arabian medicine, or Islamic medicine also known as Unani medicine, lettuce is used as a sleep inducer. Lettuce contains a depressant chemical that decreases heart rate and ventricular contractions and also blocks excitatory signals to muscular and neural tissues which help to bring on a deep sleep. The Unani system and more recent research have found that lettuce contains anxiolytic properties which help to manage anxiety levels. Lettuce can be used for meals other than salads. You can add lettuce to smoothies or juice the leaves. Use them in Sautés and stir-fries, make them into slaws, soup, sauces, lettuce wraps, or grill a head or a wedge. In Arizona, we grow lots of lettuce. Yuma Arizona is the winter lettuce bowl of the country. Place 1/3 cup olive oil and the mustard in a blender, and top with the watercress stems, scallions, and garlic. Puree until very smooth, pouring in additional olive oil as needed to get the motor running and unit the sauce is smooth and fluffy. Place the rice in a serving bowl. Arrange your vegetables, as well as a heaping tablespoonful of sauce, on top of the rice. Crumble the nuts over then garnish with the scallions, and serve. If you’re looking for more lettuce recipes check out the Fill Your Plate recipe section. Or, if you’re looking for new recipes to bring to the family, Fill Your Plate offers hundreds of unique recipes. This entry was posted in Arizona, AZ Winter Vegetables, Cooking, Fill Your Plate, Food, Food Facts, Green Matters, Grocery, Health Tips, Healthy Eating, Produce, Recipes, Vegetables, Water and tagged Antioxidants, Arizona, lettuce, recipes, Water. Bookmark the permalink.